This is a handy little 7mm Spanner created for use with our nozzles. 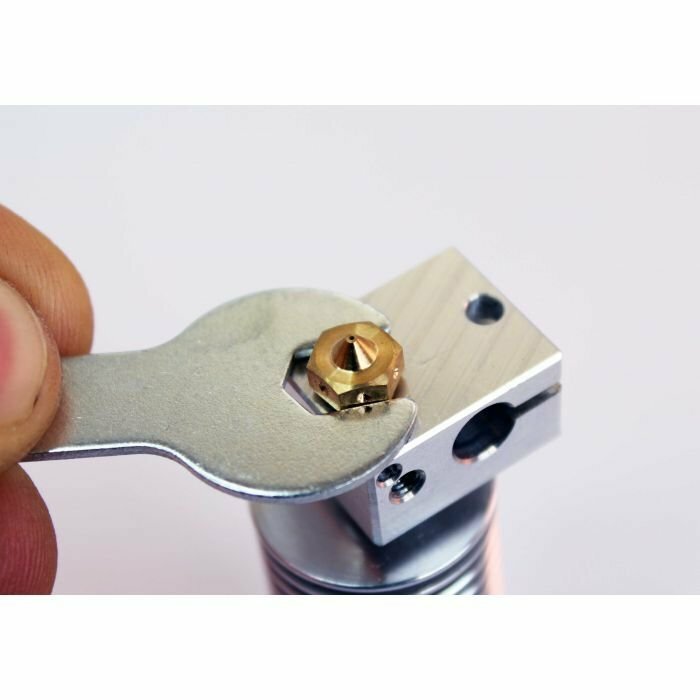 Prevents the all-too-common mangling of the nozzle if you're a tinkerer who switches out nozzles often. This spanner will fit all E3D-v6 nozzles and Volcano nozzles. It will not fit Cyclops nozzles.